We’ve made it easy for you! 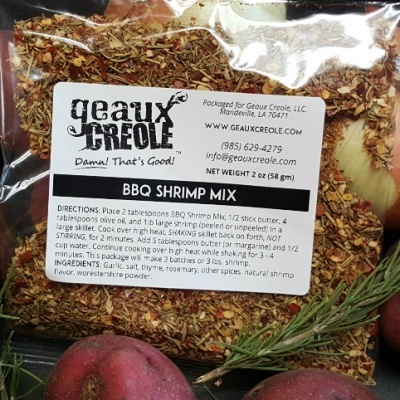 Make delicious New Orleans style BBQ Shrimp with the Geaux Creole BBQ Shrimp Mix. 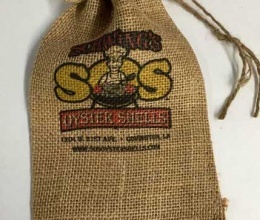 It’s a lot of flavor packed in a 2 ounce bag with directions right on the label. 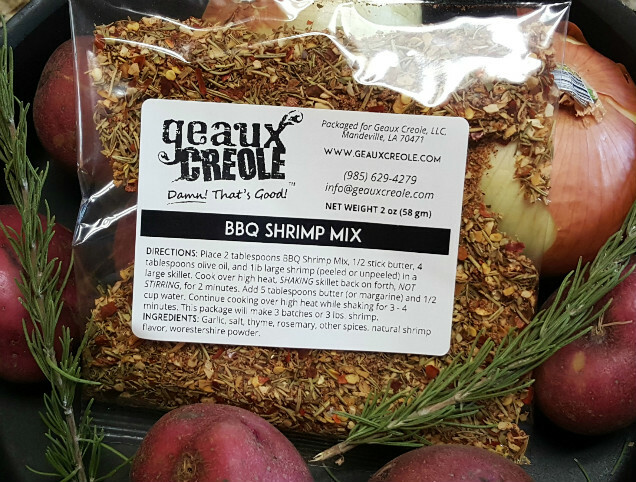 BBQ Shrimp is an iconic New Orleans dish. In New Orleans, BBQ Shrimp isn’t about slathering grilled or fried shrimp in a ton of BBQ sauce. 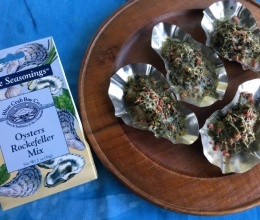 Rather, it is a shrimp dish delicately prepared in a rich butter sauce flavored with Worcestershire and white wine and eaten with dripping dipped French bread. You can find iterations at various restaurants and in homes across the city, but the original recipe comes from an Uptown restaurant, Pascal’s Manale. 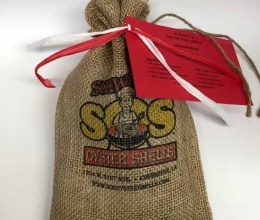 12 Pk Shells Gift Wrapped Only Online!